Aer Lingus has gone over the heads of its trade unions to directly pitch to staff what it claims is a better employment deal that union representatives have walked away from. The airline is attempting to win agreement from loading staff at Dublin Airport on productivity gains it needs ahead of the huge growth it is predicting. In a letter posted to the home address of each individual staff member, the airline claimed the union had walked out on a deal that would have delivered a basic pay increase, better rosters and sustainable direct employment for loading section staff. The letter included a copy of a draft agreement sent to Siptu earlier this month. The company's move to deal directly with staff at the former trade-union stronghold comes as it also warned workers it's installing new CCTV cameras and introducing random patrols by a security firm. The moves are due to concerns it has over what it claimed was theft by a small percentage of staff "of guest property, damage to company property and interference with colleagues' property". The Aer Lingus letter said that negotiations to agree the draft had been constructive but that the union had since walked away from a deal that would have given "more money and better rosters". "In recent weeks we explained to your representatives (in great detail) that the current costs and operating model were uncompetitive when compared with other ground handlers at Dublin," said the letter to employees. The airline said it had given trade union representatives “access to confidential information” which showed that Aer Lingus costs are some 50pc higher than the market. 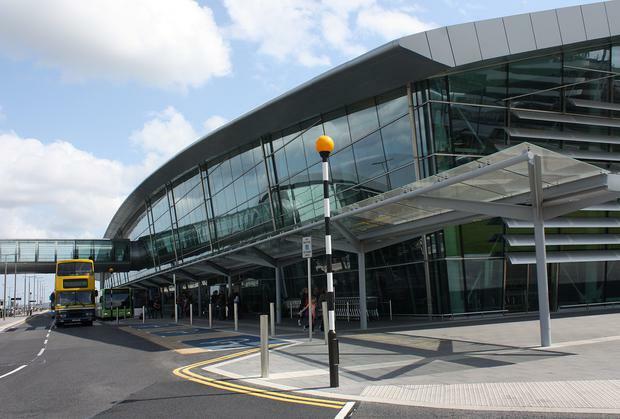 The letter outlined that Aer Lingus operations staff could expect total remuneration of over €60,000 compared to as little as €24,000 at sother Dublin based ground handler. In response, Siptu wrote back to the airline to say it was “deeply disappointed that the company have taken a decision to bypass Siptu and the elected representatives in this manner”. The union said its decision to “pause the discussions” had come from its wider membership in the section. The union also criticised what it said was “the installation of what our members deem to be an excessive number of CCTV cameras in the area they work in as well as the company decision to implement security patrols in break areas and locker rooms which affect our members’ downtime when on break”. Aer Lingus claimed in the direct letter to staff that it would address productivity issues “without changing your terms and conditions”. But two days after sending the draft agreement to Siptu it claimed it “received notification that the representatives now want to put our discussions ‘on hold’,” which, said the letter, was “essentially, kicking this can down the road”. “This will only serve to worsen the situation and drive management to consider other options,” the letter warned. “It is not too late to reach agreement and it is our preference to reach a collective agreement as proposed to Siptu,” it said. The document was “the result of many meetings and fully developed with your representatives. Their decision to walk away from the agreement, and the manner in how that was done, was disrespectful to the process.